On Friday, August 4, 2017, Starbucks opened a beautiful, large “Community Store” in the White Center neighborhood of Seattle. White Center is an urban, diverse, low to moderate income neighborhood in unincorporated King County. It’s often thought of as being part of Seattle, as it has a Seattle address. 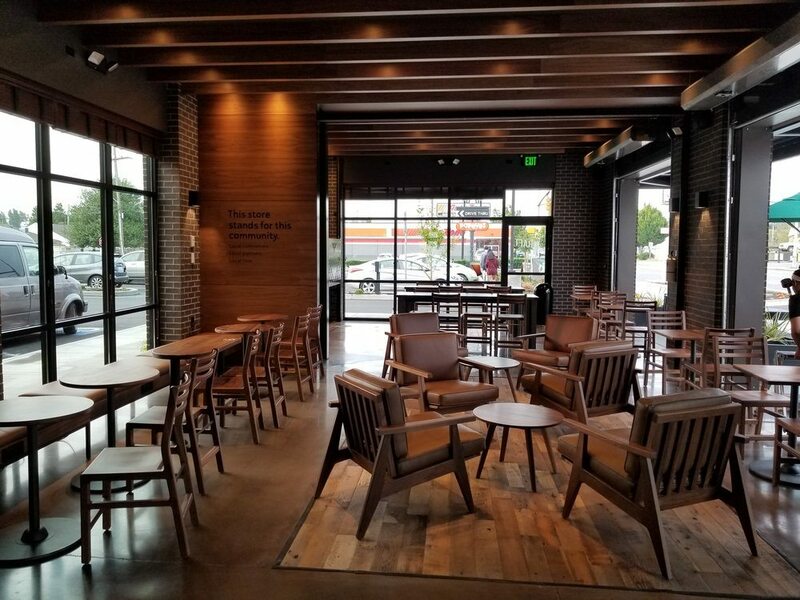 This new store represents a new model for Starbucks Community Stores. 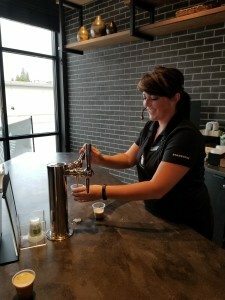 This new model partners with the YWCA to offer job training skills and a gathering space within the new store. Young people register with the YWCA for a barista skills class, and the space at Starbucks becomes a training ground. Some of those young people may end up hired by Starbucks or other coffeehouses. 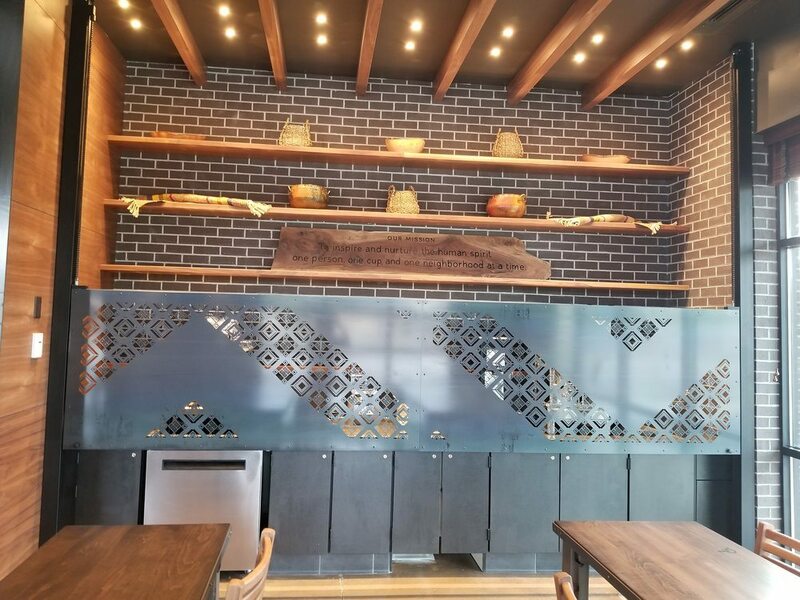 This store’s design features a small bar/ training area within the lobby space of the store, in a room that can be sectioned off for meetings and training. 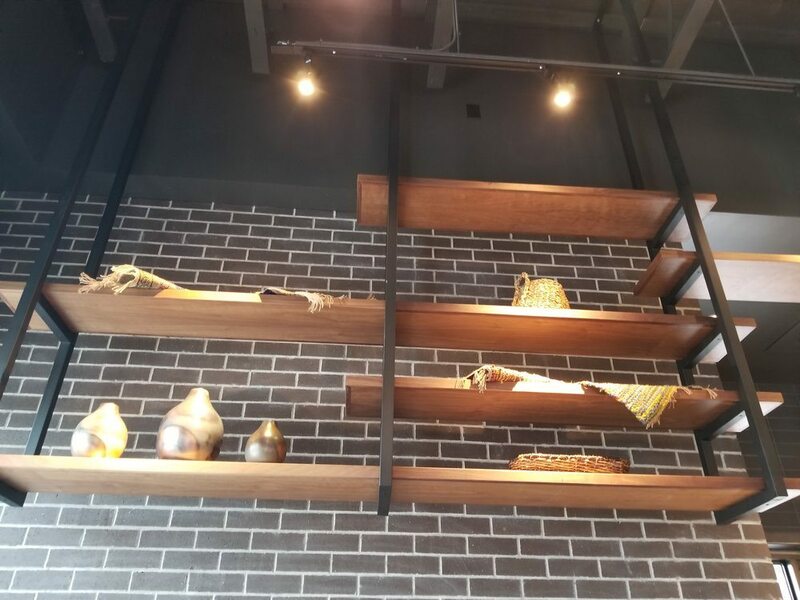 The store design is open and inviting, with 3 traditional door entrances, and 2 huge garage doors which can be opened on sunny days. 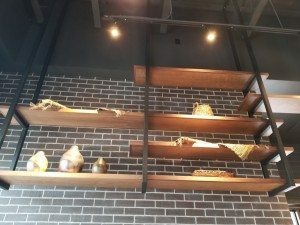 It’s incredibly open! 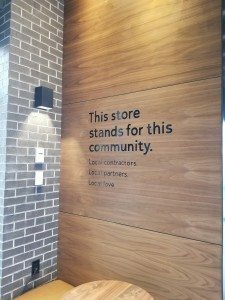 This is not the first time that Starbucks has opened a “Community Store,” although their model has changed over the years. In 2013, the 23rd and Jackson Starbucks in Seattle’s Central District neighborhood was designated a “Community Store” which a donation of 15 cents from every transaction donated to a local non-profit. 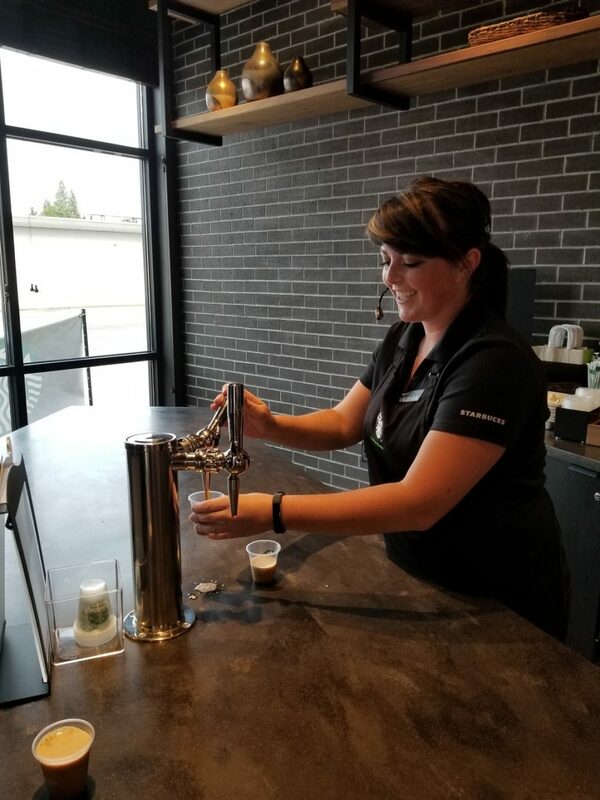 In 2014, Starbucks followed the same model and opened a Community Store in Tacoma, Washington with a portion of each transaction being donated to a non-profit that helps veterans. Neighborhoods in Los Angeles, Harlem, and Houston also had Community Stores with the profit-sharing model. (Click onto photos to make them larger). The new model represents more of an active effort to hire and train young people who are in need of job skills. The new model of a community store ties into Starbucks’ Opportunity for Youth commitment to hire 100,000 ‘opportunity youth’ by the year 2020. There are a few these stores, dedicated as vibrant training grounds with local baristas, primarily hired as young people in need of a job. 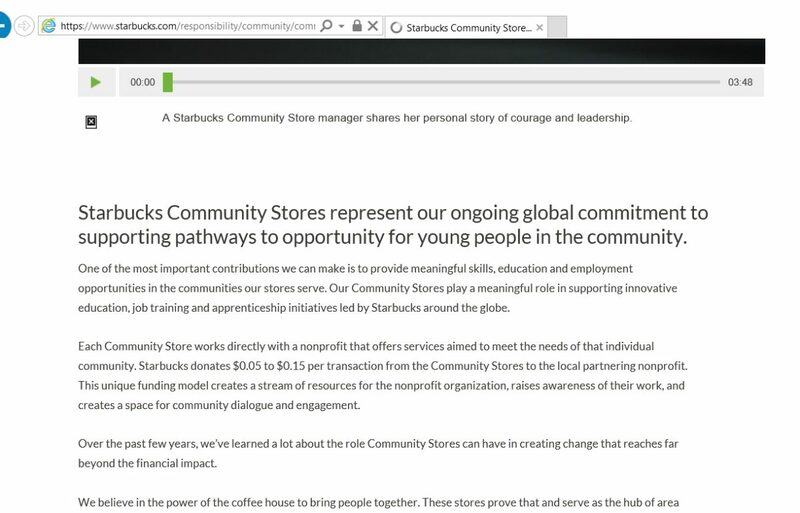 Starbucks operates an Opportunity Youth Community Store in New York and Ferguson, Missouri too. 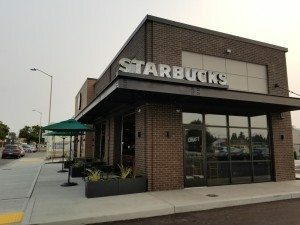 I like the idea of having a store that is an embodiment of Starbucks’ hiring commitment – young people who work there were identified as being opportunity youth (young people age 16 to 24 who are neither in school nor working) and a wide open space that is accessible to the local community, without rental space charges. 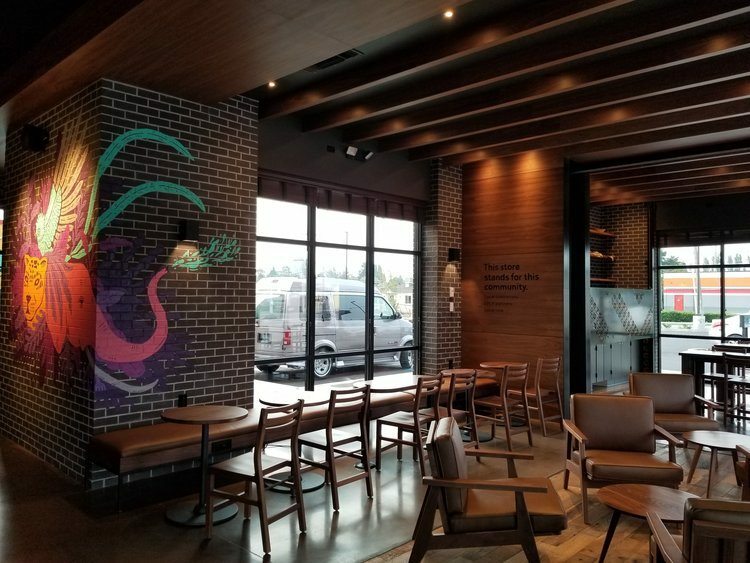 In my opinion, one idea for these stores would be to have bakery and food offerings that are prepared by very local businesses, instead of traditional Starbucks fare. It would be one more way that these Community Stores could tie into the local communities that they represent. This idea is already in effect in the Ferguson store, where Natalie’s Cakes offers bakery items for the store. I’d love to see more of that kind of local partnership. 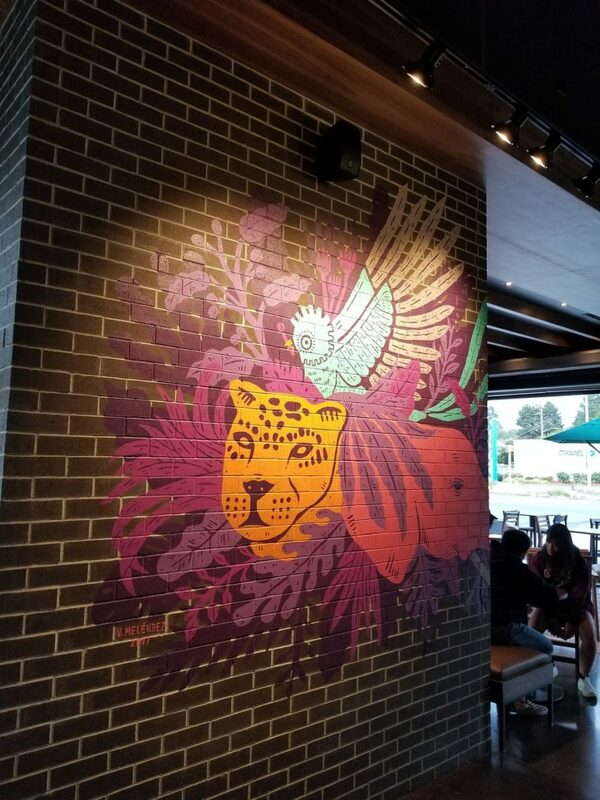 Starbucks partner (Starbucks calls their employees, ‘partners’) Victor Melendez, who grew up in White Center, designed and drew the mural on the wall in the lobby. You can follow him here on Instagram. You will find the new White Center Starbucks at 1520 SW 100th Street, in Seattle, Washington. The phone number is 206-771-3792. What a beautiful store. 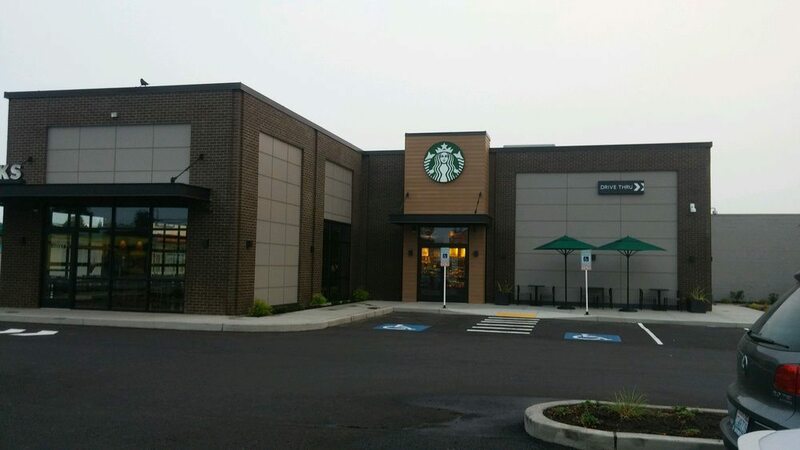 Hoping it is a great success and encourages Starbucks to open even more of these Community Stores. I am so glad to see this store open! 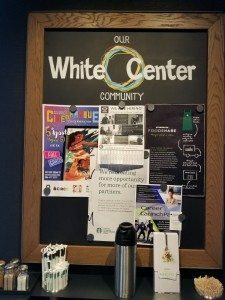 I have always thought that White Center has such unmet potential! 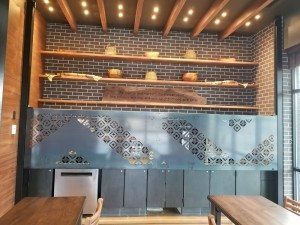 As a former partner at Westwood Village and resident of the area! It does my heart good to see this positive addition to the community!